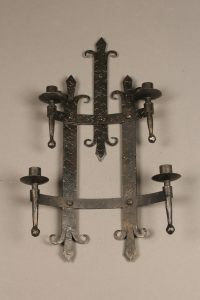 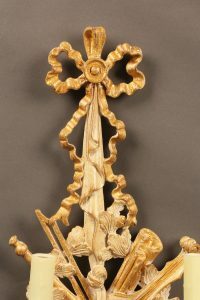 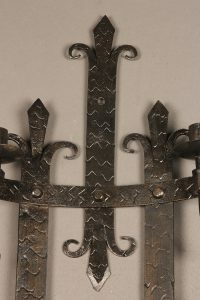 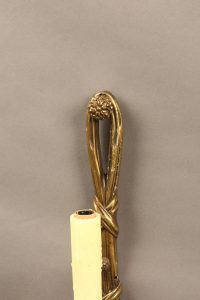 Wrought iron sconce with flure-di-lis design. 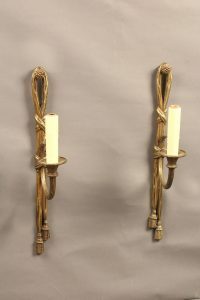 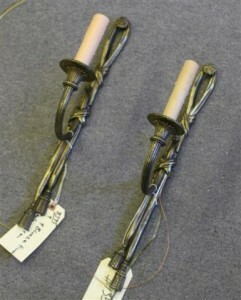 Very nice pair of French single arm bronze sconces. 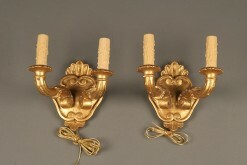 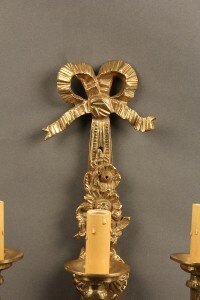 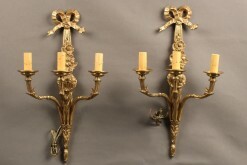 Pair of two arm French Louis XVI style bronze sconces. 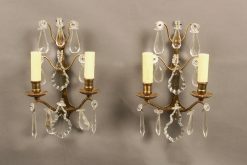 Pair of Italian hand carved wood sconces. 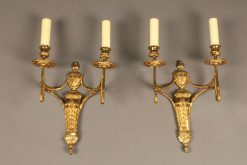 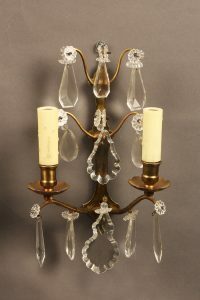 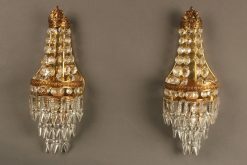 Pair of 3 arm bronze and crystal French sconces. 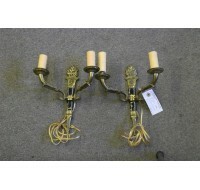 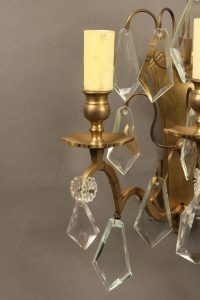 Pair of French 2 arm bronze and crystal sconces. 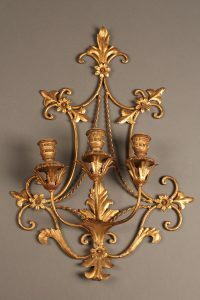 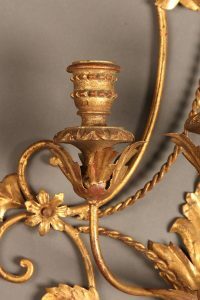 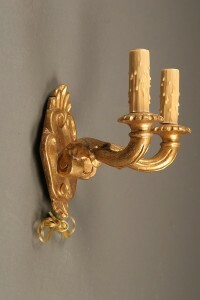 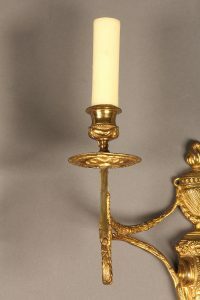 Italian Three arm iron and wood sconce with gilded finish. 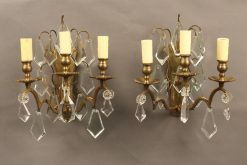 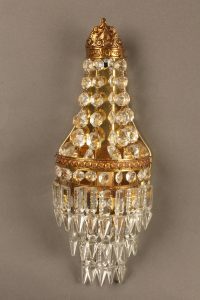 Elegant pair of bronze and crystal sconces. 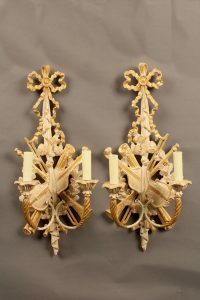 Pair of French gilded wood sconces.